Vincent Tabak: pornographic films featured women being choked. Vincent Tabak may have graduated from 'observer to perpetrator' after watching pornographic films, before going on to strangle Jo Yeates, 'for his own sexual gratification' detectives have claimed. The six-man and six-women jury in Joanna Yeates murder trial had been deliberating for thirteen hours and 36 minutes, before returning to Court One at Bristol Crown Court and finding the defendant, Vincent Tabak, guilty of murder. As the verdict was delivered, Tabak immediately sat down and put his head in his hands. Mr Justice Field began sentencing by telling the jury: "I think there was a sexual element to this killing." Tabak is said to have held a collection of pornographic films featuring women being choked. Contrary to his image as a devoted boyfriend, it can also be revealed that he sought out the company of prostitutes while on business trips to Newcastle and Los Angeles. The judge lifted an order banning publication after the 10-2 guilty verdict. Members of the Yeates family were in court to hear the verdict but showed little emotion. Yeates's boyfriend, Greg Reardon, maintained his composure. TheBigRetort: ringleader of a gang who kept mentally disabled people in cellar escaped jail term. Linda Ann Weston, 51, was convicted in 1983 for keeping a man in a closet and starving him to death. Although found guilty in the 1983 abduction and murder, Weston did not serve time in prison. 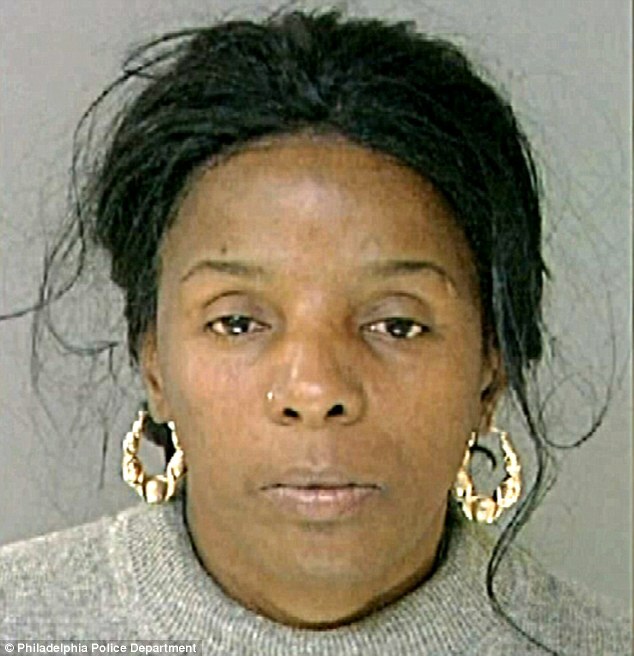 Venus Weston, younger sister of Linda, was sentenced to six to 12 years in prison. Linda the elder was ruled ‘incompetent to stand’. Even though the plot was originally hers. 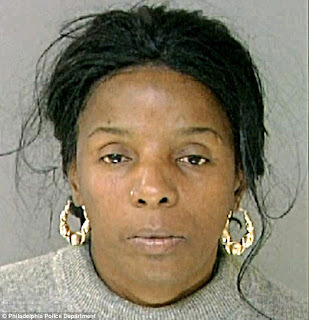 Police in Philadelphia recently discovered four abused and vulnerable adults shackled together in a dank cellar where they were being held captive, with dogs for cell mates. Officers also discovered a teenage girl. Three people have been arrested. It has been widely claimed that one of the captors, Linda Ann Weston, 51, served time in prison for a similar crime. TheBigRetort… but she didn’t. In November 1981, Bernado Ramos was reported missing by his mother. His body was found in a closet two weeks later. Linda Weston, 23, and Venus Weston, 21 his lover, were later charged and convicted with his captivity and murder. Apparently Bernado had been the father of Venus’s child but refused to support it. It was his last mistake. The Weston sisters had beat him with a broomstick and eventually starved him to death in the cupboard. A remarkably similar modus operandi when compared with the current charges. However, Linda Weston, now charged with abduction and enslavement in the more recent case, is said to have done time in 1983 for murder and imprisonment. But Linda Weston did not ‘do time’ for the murder of Bernado Ramos: her sister did. 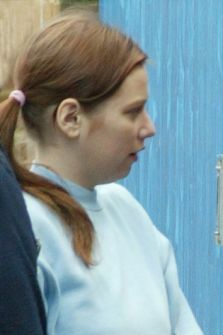 Venus Weston, the younger sister of Linda, was sentenced to six to 12 years in prison. Linda the elder was ruled ‘incompetent to stand’. Even though the plot was originally hers. 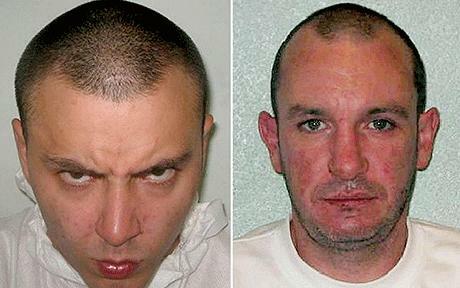 Edgington knife attack linked to previous double slaying at New Cross. TheBigRetort… exclusive. An urgent probe by the NHS may wish to focus on the mental health unit where a knife attacker sought refuge, prior to going on a rampage that left one woman dead and another seriously injured. The patient, Nicola Edgington, 31, was from the same mental health unit where a previous patient also went on to commit a frenzied knife attack that left two foreign students dead. TheBigRetort previously revealed that Edgington had been ordered by a judge to be detained indefinitely under the Mental Health Act after stabbing her mother to death in 2005 - but was conditionally discharged in 2009. The 31-year-old recently admitted herself into Oxleas House in Woolwich, and fled the unit prior to her second and third attacks. Although a warning was put out by the unit to police, Edgington went on to stab one person to death and seriously injure another. The probe might scrutinse the treatment offered to patients by the Oxleas unit and the conduct of its doctors because... it has happened before. In 2008, Nigel Farmer appeared at the Old Bailey and was convicted, along with associate Dano Sonnex, of murdering students Laurent Bonomo and Gabriel Ferez at a flat in Sterling Gardens, New Cross. Farmer was a patient at the Oxleas Foundation Trust. He signed himself out of the unit a few weeks prior to committing his frenzied knife attack on Bonomo and Ferez. Mr Bonomo was stabbed 196 times, including almost 100 times in the back after he was already dead. Close friend Gabriel Ferez, also 23, suffered 47 stab wounds and "bore the burnt of the fire". A spokesman for Oxleas NHS Foundation Trust confirmed that Edgington was a patient and that British health officials were conducting an investigation. TheBigRetort can reveal that Oxleas Trust has failed to confirm if a link may have also existed between either patient. Or if any other related cases exist following admittance to the unit. Sally Hodkin was on her way to work on Monday morning when she was murdered in a busy shopping street in south east London. Her assailant (pictured) is unable to appear in court due to "extreme" mental health problems. So who is really responsible for the death of Sally Hodkin? Sally Hodkin's assailant is Nicola Edgington, 31, of Ambedkar House, Flavell Mews, Greenwich, south east London. Edgington also attempted to murder 23-year-old Kerry Clark, who was attacked with a knife as she waited at a bus stop. However TheBigRetort can reveal that Nicola Edgington is unlikely to stand in a courtroom charged with the murder - ever. Because she has already been deemed in the past not guilty of murder due to diminished responsibility. The recent attacks by Nicola Edgington were forewarned - and could have been prevented. In 2006, Edgington, then aged 26, admitted stabbing her mother to death in a frenzied attack. She struck on the eve of what was supposed to be a happy family reunion. At her 60-year-old mother's home Marion had lived in fear of her own daughte. She had cut her out of her will. She was worried about her mental state. A regular churchgoer, Marion chillingly predicted her own death - at the hands of her "wayward" daughter. Just days before being killed by Nicola her mother wrote to social services stating: "She is the most unstable I have ever known her to be and for the longest period too." Nicola Edgington was apparently angry at having a child taken into care. On the night of the killing she had been to a pub with her brother but had been thrown out because of her bizarre behaviour; which included doing karate chops and punches. Her brother noticed she had a notebook in which she had scribbled the names Bin Laden, George Bush and Reggie Kray. The court also heard that she had an obsession with a cousin who had also stabbed someone to death. Once inside her mother's cottage in rural Forest Row, East Sussex, she attacked her with a knife. She stabbed Mrs Edgington nine times and left her body on the fold-up bed she slept in, with the bloodied knife lying on her chest. Edgington, a schizophrenic, admitted manslaughter on the grounds of diminished responsibility at Lewes Crown Court. She was ordered to be detained ‘indefinitely‘. She was not... Yet again we see another person in need of care... in the community... one of a growing band of 'crazed' individuals who emerge on the streets - usually in the south east London region - and who now looks set to be taken off the streets and out of the courts 'indefinitely': which is convenient for social services. Nicola Edgington may have wielded the knife: but it is the state that is the real assassin.